As I type this we are about to go to a special WebEx meeting for vExperts only but by the time you read this; VMware would have announced this on their blog and the gag can come off! So after enduring a huge amount of pain due to typical conference call pings/rings/background noise we eventually got down to business. Getting customers a web client interface that performs and has the same structure as the current GUI is a priority as the current one has known performance issues. 3rd party plugins – what happens to them? How will they work? Will they work? From listening to the concerns, there was a lot of push back from the vExperts to say that we don’t like being told by VMware how to manage our environments, but more along the lines of we need VMware to offer us the functionality that we are asking for in the real world. What was also clear was that this wasn’t really discussed with the community in depth first as there were a lot of un answered questions with regards to the primary concerns of the vExperts and customers. A member of the call also suggested we get a separate dedicated page that will act as a compatibility matrix of vendor plugin to the next release version including the HTML5 GUI. As an architect we will absolutely need this to measure the impact of the HTML5 client and management of complex vendor specific work flows and environments. More so if you are doing upgrades to new versions of vSphere as you may already have established work flow practices and DR run books or documentation which could literally all breakdown if your plugins no longer work. In green field deployments; you will already have got a test plan in place and introducing new ways of managing the platform in some cases so this may not be an issue. So we there you have it, the death of VI client is announced so make the most of it while you can as VMware will have a lot to do to make the new GUI not only offer the same features as the C# client, but also to make it quick and a single pane of glass. I wouldn’t be surprised if there were features missing and VMware turn round and say use PowerCLi. We will find out soon enough! I’ll miss the VI Client. It’s been a faithful servant to me since the very start of using vSphere and has got me out of jail on a number of occasions when the vCenter has crapped itself due to some boo boo made by an admin (me in most instances). To lose this critical functionality and get out jail free card in case of a web GUI failure of some description, will more than likely not go down well with most of you either. I personally think it’s a mistake relying on web services for the be all and end all of management because web servers fail so if they do, you’ll want another way in. You always get taught to make things highly available and to have a back up plan so why not keep the VI Client in this way but to only be used in emergency. The new GUI MUST deliver the same functionality as the VI client if we are to let our friend go to into retirement as we really do need it. @VMware – The vExperts have made it loud and clear on the call, if we lose it, you better come up with the goods and by goods I mean a GUI that performs much faster than the current GUI for the new GUI or you’ll have more than a few tough conversations in the future. Want to know what the HTML5 client fling is about: Click here! I think getting rid of the C# client all together is a bad idea. Yes by all means move on into the new HTML 5 client and make the web client the sole focus….but leave the functionality that the C# has, and let people use it who want to use it. It’s obvious VMware have been moving towards this for a while, but to say you are binning it off, before you have got a decent production ready web client up and running for people to use, is a bit silly and a hell of a gamble. I guess in some ways burning your bridges so you cant go back, will force you to go full throttle ahead and put everything into it and that could work out really well. Man there was some mad interference on that conference call! I had a headache by the end of it. I agree with Bilal, VMware should let admins have the choice of either the C# client or the HTML 5 client. There’s no real reason (in my mind) why they can’t replicate what you see in the thick client straight into the H5 client. As admins, we should have a choice what tool we want to use – for example, regardless of what GUI we use, CLI will always be an option. I’ve always HATED the Web Client but LOVED the idea of it. It will be a sad day when I remove the C# client from my machine. Of course we have to remember we can still use the thick client until we’re fully off 5.5 and 6.0 – the H5 client will be the ONLY way from the next major release of vSphere. I have a feeling that a lot of admins and companies will hold back on upgrading until the H5 client does what it should be able to do from day 1 – in our experience it won’t!! So as most of you who may be reading this blog will know; as part of the journey to getting the VCDX certification is obviously to make sure that you get the pre-requisites completed.If you’ve been reading since the start of my blog then you’ve probably listened to me moan about the fact that I’ve had a few issues trying to pass the VCAP5-DCD for over a year (Having attempted three different versions). The reasons why I had issues were mainly that I do like to ask questions if I think there is something a little vague, especially in the real world as it’s a critical part of the requirements gathering process. However this is not a luxury that you have in the exam and to be frank, nothing technical is hard in the exam, the bit that will bite you on the arse is actually trying to understand what it is they are asking you to do in terms of the requirements and the way they (VMware) want you to lay out the questions. It used to be that some of the questions in the exam were indeed very open to interpretation and second guessing as to what’s needed. I am pleased to report that since the revamp of the exam early this year; the 5.5 version this time around was a lot clearer, though there are still some gremlins in there waiting to pounce on any self doubt which was the case for me! Perhaps if I hadn’t been so stressed and paranoid about doing the whole thing all over again then my mind may have been clearer. I’m not going to lie, I put the hours in trawling all over the forums and study groups as well as chatting to those who’ve completed it and those not so. I was armed to the teeth with knowledge this time and didn’t leave anything to chance and was confident in my knowledge and experience but not in my exam taking skills. I’m always the same in exams, I pass but never well in my own standards and it was with no surprise this was the case again for my DCD exam too. I was disappointed in the score at 339 to be brutally honest but I was relieved to see the Congratulations screen instead of the dreaded “You did not pass this Exam” from which I was familiar with. I did kinda let out a cheeky “YESSSS!) in the examination room which prompted a few stares and evils but sod it, a pass is a pass.There are those reading that I do need to thank for their support and you know who you are and I don’t forget things like that. There were those on twitter I’d like to thank as well for continued support and Michael Webster who after one of my fails was able to steer me back on the right track and pick up the pieces of what was my confidence. 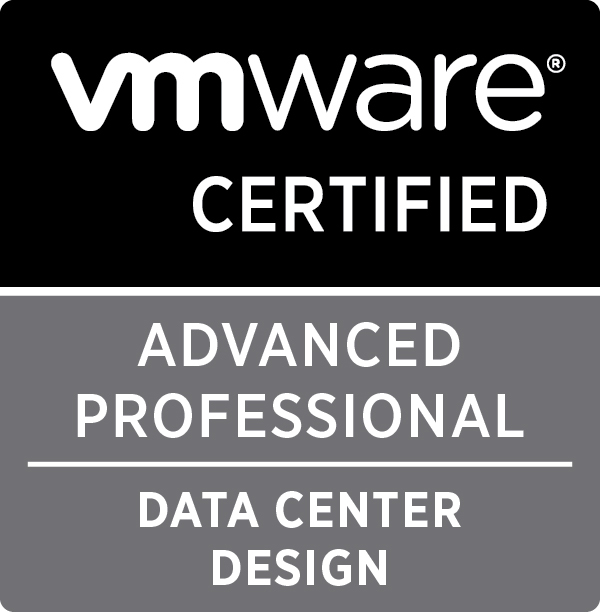 So there you have it, I you haven’t guessed already I pass and now officially a VMware Certified Advanced Professional 5 in Data Center Design BOOM!!! So if you’ve failed and reading this, keep at it as you WILL pass eventually with the right support from your fellow professionals and self belief. So this means Operation Quicksand comes to a close with mission complete status but as one hurdle has been overcame then one required jumping. Now for Operation Genesis is up next in the VCAP5-DCA. Allegedly this is the easier of the two exams to pass however it’s been some time since I’ve been mucking around in my lab so have no doubt I’m going to be rusty and lacking in hands on with certain new features with 5.5. The ones I’m most anxious about is the vCenter Orchestrator as I never could get my head around the logic. The rest I’m reasonably happy with but need to go deeper than vanilla installs. I will also need to set up my Domain again and a few other pre-existing requirements so that I’ve got an environment similar to the exam. So that’s all folks, keep an eye out for VCDX and DCA updates as they are going to be coming more often now. Till then, ride safe! Operation Grandslam is now under way. I’m forcing myself to do this instead of putting it off while I try and get the VCAPs done and dusted. We’ve all been there when life at work and home consume vast amounts of time and effort as well as will power but the line in the sand has been drawn and I’ve stepped over it. In the following weeks and months I will be doing an open design submission unless told I can’t due to NDAs or VCDX rules but at the very least I will be tracking my progress, airing my thoughts and agonising over decisions or processes. THe aim of this is so that you can perhaps get ideas or with any luck give some feedback and or support. It’s not going to be easy, if it were then everyone would be doing it wouldn’t they? So this is just a quick post and in the next post I will be looking at the blueprint to see which of these design scenarios I will be going for in order to meet the blueprint requirements. So these are the three I scenarios I’m considering for the VCDX design. An existing customer has requested consultancy for deploying a new online banking platform service in order to keep up with technology and other services being offered by larger UK and Global banks. The new infrastructure must utilise the providers data centers, BGP networks/MPLS and meet explicit RTO and RPOs of services and data though PCI compliance is not required due to the nature of application delivery. An umbrella company has a business model of acquisitions and expansion and as such as taken over an insurance company to further increase their service portfolio and catalog. There are tight deadlines to absorb and migrate the new companies infrastructure from the existing sites due to termination of co-lo and managed services contracts. The online presence and services must not be impacted where possible with very small windows of downtime available. In addition to there are numerous Windows 2003 servers which will be out of support in the very near future as well as ageing infrastructure coming to end of life and service. There are additional requirements and constraints to follow….. So those are the three that I’ve had to face in real life which I can draw upon in terms of experience but I will need to be tactical in which to pursue as too complex will increase the attack surface in my design defence or too little that I may not be able to score enough points on. I will be adding fictional requirements in all of these and detailing the Functional, non-functional requirements as well as the constraints, risks and of course the assumptions. Oh and here’s the kicker…..I WILL be using hyper converged technology and will most likely be Nutanix. The reason for this was that I’ve experience with Nutanix and their products but more to do with the fact I truly believe in Hyper Convergence concepts and have seen first hand what it can do for a company and wished I had it for some of the engagements I’ve previously had to do. Just to be clear though, I’m not employed by Nutanix and if I had exposure to VMware EVO Rail or Pernix data then I’d be seriously considering these too IF and big IF in all cases it meets the REQUIREMENTS. One of the objectives on the VCAP-DCD exam is to be able to demonstrate and build Entity Relationship Diagrams (ERD) and define the upstream and downstream components. What I wanted to discuss with you was how you, my peers, interpret application dependencies and define what you consider as upstream and downstream components. After my exam I researched it just to check that I’d got the answer right but if what I’m reading through my research is correct, it’s completely the reverse of what I had done in the exam and thus got it wrong. This specifically in the VCAP-DCD exam is Objective 2.2 in the exam blue prints for 5.0, 5.1 and the latest 5.5 version. It also says “Product Documentation” which is vague and not very helpful when you are trying to look at specifics but hey ho. I’ve read and re-read through this document and can not see a definition of what the upstream/downstream relationships are so further investigation was required. You would have thought that this would be easy to find as VMware are excellent at documentation and knowledge bases! I also asked my instructor of my VMware Design Workshop course and he too confirms there are conflicting answers to this and at the time of writing; was unable to give me any solid answer. If you google or bing search this topic you will find peoples interpretations to how to approach this when looking at it from an IT perspective. Just about all other examples I’ve seen back my interpretation up but Yes the only one that should matter for the exam is VMware’s opinion but it it’s still wrong in reality. There I said it, I actually disagree with VMware and not something I’d say or take likely. 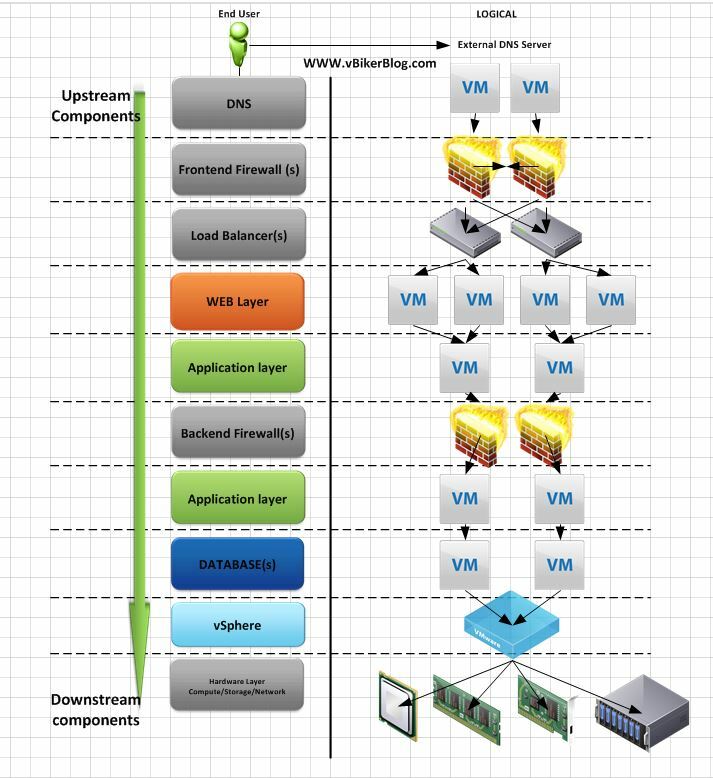 What worries me is that I really hope I’m wrong in understanding VMware’s interpretation of what the upstream and downstream components are and why. This is why I’ve taken to this blog to justify my own interpretation and perhaps question VMware’s stance on it. After much painful research and trawling on google (other search engines are available) I found what appears to be the VMware’s answer to the definition at least it purports to be by the vExpert and it appears to be repeated in a few other blogs. Sorry but I disagree with this and maybe I’m looking at this too literally but here we go. A river or stream runs from the highest elevation to the lowest elevation i.e. From top to bottom aka from upstream to downstream. So if we were to chuck some sort of dye upstream it would flow downstream and turn in to the dye’s colour. Therefore the upstream has a direct impact on the downstream. So if were to put the dye in the downstream portion of the river/stream what would be the affect on the upstream section of the river? Bugger all is the answer you’re looking for! So lets take this into the world of technical dependencies. If for example we have a multi-tiered application like a website. Let’s say vbiker.blog? Lets assume I’m using part of the LAMP stack to provide this service. 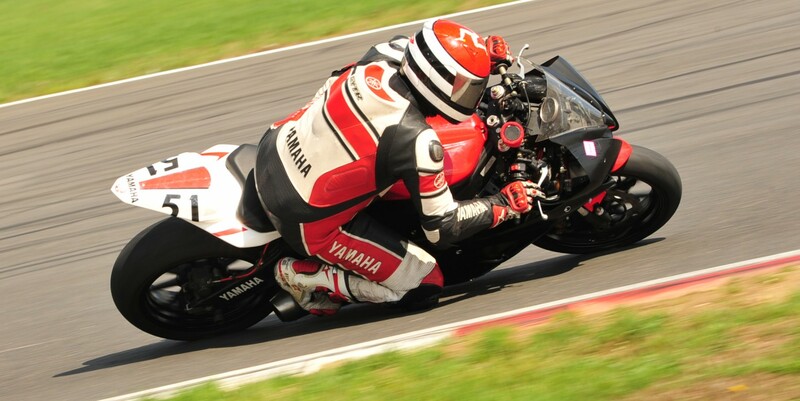 In order of reliance we have the http://www.vbikerblog that runs on an Apache server. This Apache server relies on two application servers Tomcat. Each of these Tomcat servers needs a data base and therefore we have two mySQL servers to support this. All of these components rely on DNS as well as vSphere but I’ve not put these in for the sake of simplicity. Now if you look at the way I’ve done the hierarchy you will see that mySQL is at the bottom and the end result vBikerblog website at the top. Some of my research has led me to a few analogies on how to explain upstream and downstream relationships and one of them is think of a house. 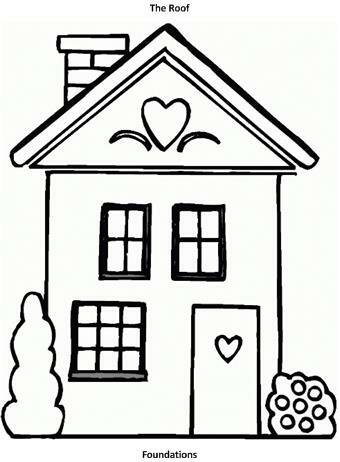 A house has foundations at the bottom and a roof at the top with in this case a lower and upper floor. If the foundations fail then the whole house comes down. If the roof fails you still have a house and an upper and lower floor all be it a draughty and wet one but you still have a house. So if we consider the mySQL as the foundations and the website the roof this would fit quite well in this analogy and make good logical sense. However VMware don’t see it like this. From my interpretation they deem the website as the upstream component and the mySQL as the downstream component. In short this is completely opposite to what I consider logical sense so I’m trying my best to get my head around why they’ve gone down this road. I would actively encourage you the reader to leave your opinion and explanation in the comments to help me and maybe others out here. There’s some very smart cookies at VMware so there must be a reason but as to why I can’t see for the moment so please do feedback! So back to this example then. If you take VMware’s approach which way do the arrows point? Well I think they would be pointing from top to bottom and with my and other’s approach vice versa. If this is the case then it goes against logic and many other industries interpretations so why it’s this way I don’t know. I really hope that this entire post is waste of time and that I’ve got the wrong end of the stick perhaps but it’s nice to get it off my chest anyway! In conclusion to my virtual disagreement I feel that this desperately needs to be clarified by VMware with document and perhaps some instruction on how to map the dependencies with clear defined definitions. Building entity relationships can be a critical part of the design process and so if we are all doing in a conformed manner then this will mitigate any ambiguity between customers and professionals alike. If VMware to use their method as I think I understand it, then they need to use a different terminology from upstream and downstream as its my opinion that it is not logical the way they explain it and I’m not alone in thinking that either. I guess at the end of the day when it comes to your documentation and how you explain it to the customer they understand the context and explanation but we could do without the confusion among fellow VM professionals. Please feel free to leave your comments and explain what I might not be seeing or justify the VMware approach or anything that would help your fellow virtual professionals. Ideally I’d like to be pointed to the VMware document defining this in black and white so post the link if you can! 🙂 Please note that I have posted an update to this subject which will clarify this much clearer so check it out! Well it appears I have to brace myself for what the architects dread the most – the conversation with the customer as to what’s better VMware vSphere 5.5 versus Server 2012R2 HyperV. Before you all start jumping on my nuts yes I know it does depend on the actual functional and non functional requirements blah blah blah. It’s just that as all good architects should do is that they should seek other opinions and so some research and not just rely on their own experience. There is a danger that you can inadvertently become biased so it’s important to seek AGNOSTIC and BALANCED advice. See what I did there? Yeah you got it and now you can probably see where I’m going with this. If you do a google search (other search engines are available!) on server 2012R Hyperv versus vSphere 5.5 you are going to see that every man and his dog has an opinion just like an ars3hol3. For me though there were two that stood out. The first was from a gentleman working for Microsoft as an Evangelist for their products and therefore committed to his side of the fence and he’s made a comparison of key features of each product to each other from his standpoint. If you look at his tables and the entries it does look pretty damning evidence in court for the case against VMware. Here in lies the problem. While technically most of the author’s findings are correct; you do need to view these in context. Naturally everybody then jumps on the bandwagon and starts to add their input. The sad thing is that Microsoft in my own opinion have scored an own goal by removing Paul’s feedback and tried to rubbish his arguments rather than promote open engagement. Paul has some very valid points with respect to the original technet article and whether MS like it or not, a lot of us that work on both sides of the fence tend to agree with him. As an extreme analogy but lets say that HyperV with all it’s bells and whistles is a BMW M5 and VMware is an Audi A5 RS. These are both awesome cars and side by side each can boast performance statistics and specs better than each other fpr this and that and one may have a feature as standard and the opposite number doesn’t. But these cars are still cars at the end of the day. The owners will see these depreciate over time and eventually trade these in for the latest model release. Each of these cars will do the vast majority of what the owners want to do and that’s drive from A to B. The manner of which they want to get there is up to the owner as they could put pedal to metal and be a real hooligan do doughnuts/burnouts or simply enjoy the drive knowing they’ve got the power there if they need it. You will find that in most cases I’d say the vast majority of owners of these cars don’t even reach the limits of the performance of their cars and those that do often pay a high price like crashing. My point is this. There are not many companies that are reaching the limits of what the hypervisors can offer and those that are could arguably be said to have implemented the wrong solution and need to address it. Generally car drivers have brand preference and personal biases in most cases. Marketing has great influence on how they perceive their cars and instils a sense of belonging to one or the other. VMware and Microsoft are no different and this is where it comes back to the title of this blog. vCoke and vPepsi. 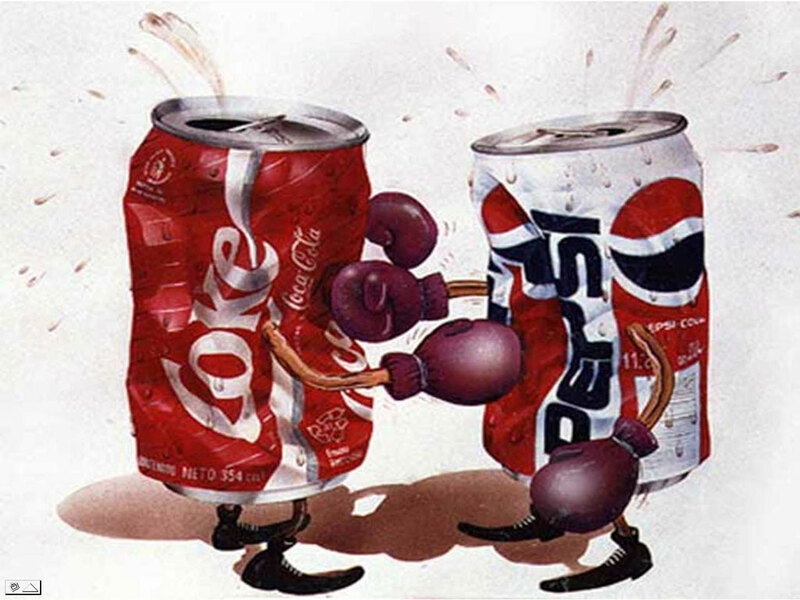 It’s my opinion and personal feelings only, that we can draw comparisons of the way Pepsi markets their products in that they have historically try to bash Coke cola and demean them in some way or another. Coca-cola on the other hand just promotes their own product and not try to attempt to bash the competition. Why not leave the end user to decide which ones best by tasting both of the products and make their own minds up? The customer has a perception of what they think is a good taste so why should this be different in the virtualisation space too? I’ve spoken with many many customers and they all say the same thing when I ask them about their thoughts about vendor bashing. They don’t like it. Not one iota. If anything it pisses them off and makes them feel alientated. This doesn’t just apply to virtualisation but in hardware vendors too. We must maintain focus and look at what is really the functional and non functional requirements and then design a solution that will fit ALL the requirements. This might mean that this could be that many options are available but then other factors can come in to play such as cost, ease of management and long term strategy etc all of which should have been covered by the project goals anyway but you’d already have a good idea of where the customers comfort zones are too. Ultimately companies that bash their competitors offerings are in my opinion doomed to failure or less success than they would be if they’d spent more time and effort promoting their own products. Pepsi appear to have turned a corner and decreased their negativity towards Coke and I have a sneaky suspicion they are getting the rewards for doing so now. Take note vendors it’s not too late to do the same too and. Yes it’s business at the end of the day but ethically I don’t agree with it and the maybe the majority of us will agree too. As a final word I say this. Microsoft Hyperv Server 2012R2 has fired a decent size 11 foot up VMware’s arse and good on them. They are now really starting to up their game and instead of copying VMware looking to offer a different approach. They have slapped VMware’s face and laid down the gauntlet. For the true neutral I can’t wait to see what they do next as between you and me – it’s all good news as we will benefit from this heavy weight duel as the new features should be awesome either way. God I hope VMware picks the metaphorical glove up and accepts the challenge.